A hop flower sits in the center on this mold with the words "BEER SOAP" along the circular edges of each cavity. Barley also adorns the design. Use for your ale scented melt and pour soaps or for beer made cold process soaps. 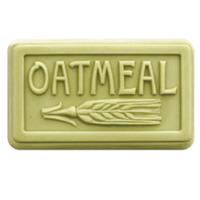 Perfect for homemade oatmeal soaps, the Rounded Oatmeal Soap Mold boldly announces to customers the natural goodness inside the bar. Create guest-sized bars of soap with our Wheat Bundle Guest Soap Mold. 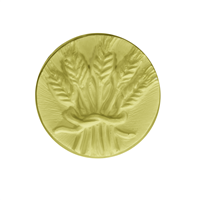 This circular mold has a bundle of five wheat stalks bundled together with ribbon. 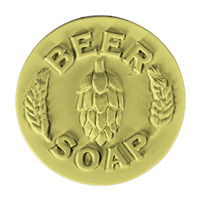 Perfect for anyone who makes wheat beer soaps! Bar Depth: 0.5" Bar Length: 2"